This month we get to experience one of the high points of the year, Mardi Gras. 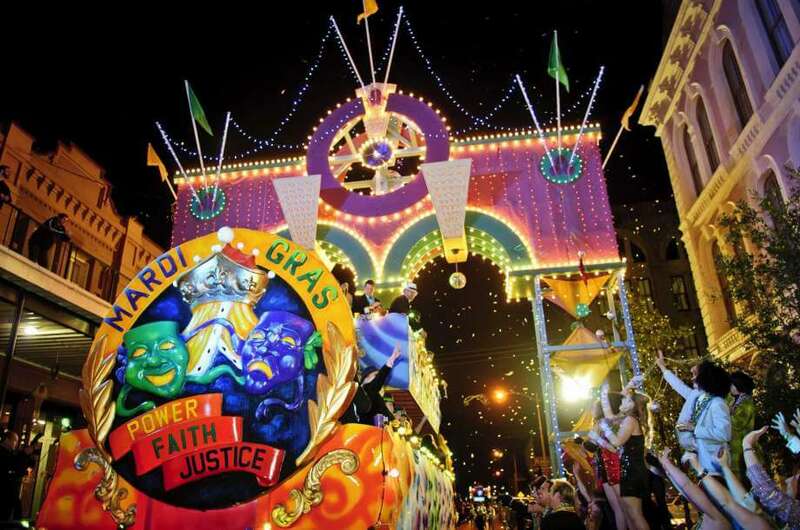 While commonly associated with New Orleans, Mardi Gras Galveston also celebrates! While you’re staying at Stella Mare RV Resort, you’ll be well positioned to experience and enjoy as much of the celebration as you’d like. The history of Mardi Gras is a celebration common in the Medieval Ages and continued in France as the Boeuf Gras. French explorers brought it with them when they explored and colonized the region. By the late 18th century the Mardi Gras carnivals were first appearing. Before that they had just been simple parades or society balls. The celebration evolved throughout the decades until it was enshrined as a holiday in Louisiana in 1875. Here in Galveston we celebrate the holiday right along with them. We’ll be celebrating the weekend of Feb 22 -24th and March 1st and 2nd. You’ll need to purchase tickets and they’re best bought ahead of time to get the discount that you want. You can get general admission tickets or even tickets to the balcony parties. There will be parades throughout the day each day of the festival, so check out the schedule to see which parade you’d like to see or participate in. In addition to parades, each day offers up singers and bands to suit any music taste. You can also participate in other fun activities including the Jolly Jester Jaunt, a 5k run. Stella Mare RV Resort is near the Mardi Gras Galveston fun! Our resort is located across from Galveston Beach and is a great way to spend Gulf Coast vacation. Find out more about the great amenities by clicking here. Save your spot with us today at stellamarervresort.com.